tycoon and ruling party senator Ly Yong Phat. village representative Phal Vannak said. 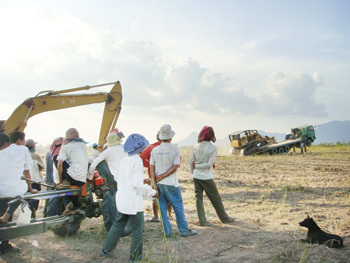 been encouraged by human rights groups to grab the land illegally. representatives could not be reached for comment. against the alleged encroachment on their land.